Industry 4.0 has revolutionized virtually every aspect of our everyday life. It has also transformed the way we work and the countless number of goods and services we receive. Basically, Industry 4.0 automized processes and even work positions. This is best exemplified by the popular telemarketer, who is steadily being replaced by intelligent bots. To that end, many of the technical, mundane positions in the fashion and apparel industry will too, become automated. However, while some positions will phase out over time, new strategic roles will come to the fore, and bring the industry to the next level. With the influx of Industry 4.0, today’s machine operators will soon be replaced by machines and the automated processes that drive them. These operators will be replaced by a new breed of skilled and trained strategic thinkers who will be able to monitor, operate and manage these new processes. Designers too, are in for a period of radical change and will also have to learn to embrace Industry 4.0. Designers’ creative roles will not be erased, but rather, the creative mindset will become more strategic and enable artistic individuals to not only maintain their position in the industry, but lead it. This new wave of strategic thinkers throughout the entire supply chain will have to develop, plan and oversee the newly automated process, while machines and algorithms will be the proverbial executors of these new techniques. Man or Machine – or Both? Industry 4.0 and its host of computerized tools, including AI, VR, IoT and other intelligent tools, will ultimately accelerate this fast-growing trend. These tools are already integrated into a number of cross-industry jobs, such as assembly line and factory workers, phone operators, receptionists, cashiers, bank tellers, and more. AI is empowering more machine intelligence embedded in human systems than ever before. According to a recent article in Forbes, using AI to manage customer service is a trend that we will increasingly see more of. With a wealth of new AI tools on the rise to support both the physical (actual) customer service rep, for example, these same tools can now sufficiently address the emotional level as well, with the ability to recognize customers’ urgency levels according to voice and language during a service call. Market studies have shown that more than a fourth of current work activities will be displaced by automation by the year 2030. Even though robots have carried out a host of manufacturing tasks for decades, primarily those that humans either do not want to do or should not do, the escalated deployment of AI, VR, and AR is rampant throughout all industries. State-of-the-art computers, particularly those with robust AI capabilities, can and seemingly will help boost human creativity on some level in a myriad of industries. In the fashion industry, VR-enabled simulations can place an individual in an alternative reality, with all the tools required to emerge themselves in a life-like imitation of a diverse physical and virtual world – where they can even, design functional, wearable footwear. The best illustration is the recent partnership between market leaders Nike, Meta and Dell. This joint venture paired up the likes of VR, AR, voice control and a digital canvas, so that designers using a Dell Canvas combined with a Meta 2 headset, could seamlessly create a version of the Nike Air VaporMax running shoe – all in augmented reality. This scenario may be viewed as way-out-there, but it is just one of an infinite number of cases where numerous positions in the fashion industry are taken up a notch. It is also where computerized, automated processes finally answer the needs of a truly creative mindset. Long before these tech innovations evolved, this would not have been thought possible. Those who engage in fundamentally more technical tasks, such as those in the cutting room, for example, are at risk of having their jobs replaced by machines, and by teams of professionals who can effectively operate these machines. Similarly, while handmade, one-off pieces may always be perceived as higher value, the rise of the sewbot, an automated sewing machine, could drastically reduce the need for seamstresses or tailors. To that end, tomorrow’s employees will no longer be hired for their manual skills or expertise, as machines will now perform the technical aspects of the job. People will be hired, rather, based on their creativity, their ability to think strategically, aka, out of the box. Market leader, Google, is famous for its hiring processes, challenging a candidate’s intelligence with questions such as, “How many golf balls can fit in a school bus?” or “Why are manhole covers round?” These candidates are tomorrow’s star employees, in essence, no longer those on the assembly line who produce the manhole covers, but those who envision them – and design them. The fundamental role of the fashion designer is to create and set new fashion trends. However, optimization and automation that accelerates time-to-market may lead to a shift in designers’ mindset and a need to adjust to a new speed. It is this impending market need that laid the groundwork for today’s ‘see now, buy now’ new market model, aka, fast-fashion. Indeed, today’s fashion designers are being reshaped by intelligent software. Sucharita Mulpuru, a leading global authority on retail, shopping and mobile commerce and Chief Retail Strategist at Shoptalk, commented, “The first draft of product copy might still be edited by a human, but it will be written by a machine.” Simply put, for the fashion designer, once garments are conceived, their production can be automated. Today, leading brands and their designers are working in tandem with strategists, computers and sets of algorithms, not only to design, but to predict fashion trends, long before sketches or color swatches are even part of the discussion. While the influx of Industry 4.0 technology in the fashion industry has increased productivity and efficiency across the board, optimizing nearly every conceivable process, it has also given fashion designers new and exciting tools, far beyond the reputed pencil and sketchbook. The fast-evolving 2D and 3D tools for apparel design, development and merchandising, have taken not only designers, but developers and production and marketing professionals, to new heights. 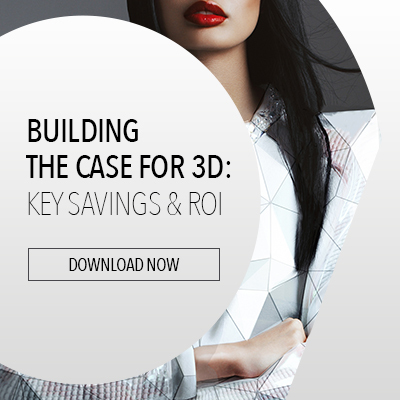 Powered by true-to-life 2D and 3D capabilities, today’s designer is an integral part of the digital product lifecycle, able to keep pace with today’s automated and optimized fashion industry supply chain. The garment manufacturing industry will undoubtedly reduce the need for manpower, as it already has, replacing humans on the shop floor with automated processes. But even as automated production processes increase exponentially on a global scale, there will still be a fundamental need for workers with technical skills to monitor, manage and operate these new machines. Moreover, there will be a need for visionaries who will know how to take the business to the next level by leveraging the tech tools at their disposal. Industry 4.0 is no longer around the corner – it is here, and it has engulfed the industry with computers, robots, and algorithms. One thing is for certain, manpower will still be needed, but the positions to be filled will change dramatically. Not only will manpower be needed, the number of jobs will actually increase. The nature of these positions, however, will change. New jobs will unfold, prompted by today’s trained and skilled leaders, and they will rise to meet the fast-growing changes in the fashion industry. It is here that the industry must educate its entire supply chain – and work towards creating and maintaining these new jobs. And it is here that designers will continue to play an integral role in the tech revolution, not by compromising on creativity, but by working in conjunction with these new technologies to continue creating and setting new market trends.